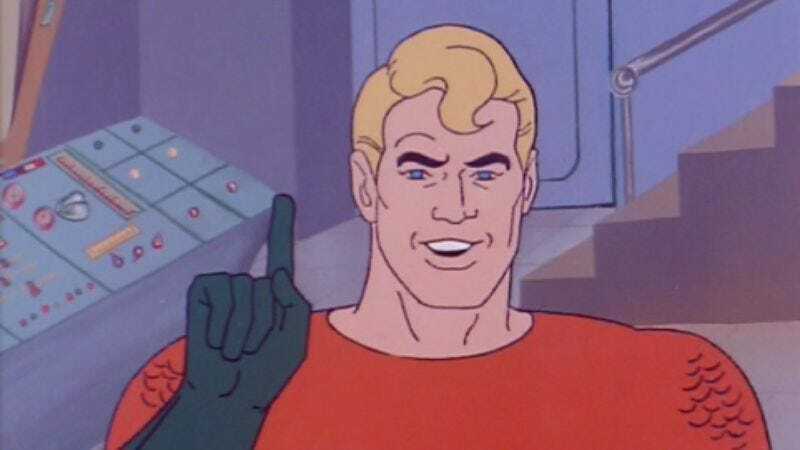 According to The Wrap, the hosts of the Stoney And Bill show on Detroit’s 97.1 The Ticket radio station were making fun of Aquaman—the Superfriend who talks to fish and looks like a Lego Justin Bieber—when a caller got on the phone to tell them to cut it out. This wasn’t just any nerd getting upset about the popular kids criticizing his beloved comic books, though. This was famous nerd Zack Snyder, director of the upcoming Batman V. Superman—a movie that happens to be filming right now in Detroit. Back in June, we reported that Game Of Thrones’ Jason Momoa might be playing Aquaman in Snyder’s next superhero movie, so it makes a certain amount of sense that he would jump to the character’s defense when he hears some morning zoo DJs trashing DC’s king of Atlantis. Of course, Snyder did this by trying to carefully avoid any actual confirmation that Aquaman would be in the movie—because there’s still another Comic-Con between now and when it comes out—but he ended up doing a pretty lousy job of it. At one point, Snyder brought up Aquaman’s trusty trident, and he claimed that it could “cut the flesh of Superman if they came in contact.” Yes, “if they come in contact,” as if something that crazy would ever happen. Ha ha! Perhaps realizing that he might as well have said “Aquaman hits Superman with his trident and it cuts him in the movie I’m making right now,” Snyder then tried to cover his tracks by explaining that he’s not in the movie “or anything like that.” Nope, he’s totally not. Not even a little bit. We get it, Zack.